From the 7/27/10 issue of The Daily Collegian. The university's decision to convert the former Phi Delta Theta fraternity house into a "green space" has elicited disappointment from the greek community. Penn State bought the 243 N. Burrowes property for $1.75 million in May, after a legal dispute with the Phi Delta Theta fraternity. 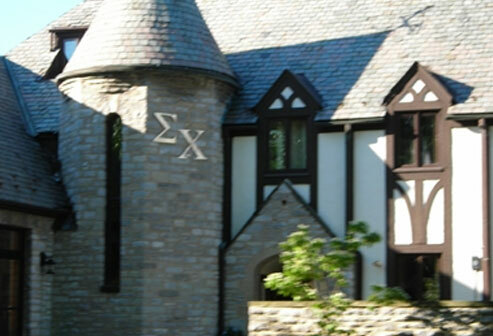 The fraternity was disbanded in 2007 for drinking violations. The decision was made to turn the property into a "green space" -- complete with sidewalks and benches, university spokeswoman Annemarie Mountz said. The demolition process began Monday evening (7/26), when contractors put up fencing around the construction area, Mountz said.